With Apple's October media event coming up later this week, the company has reportedly already begun shipping mass quantities of new product into the U.S. and appears to be setting up for a Friday, October 24 availability date, according to a source that has provided accurate information to MacRumors in the past. The specific product being shipped was not identified by the source, but it likely is Apple's rumored upcoming iPad, though it is not clear which model -- the iPad Air 2, the Retina iPad mini 2, or both -- is being transported. The timing would be consistent with Apple's usual strategy for such launches, coming just over a week after the product's introduction. With the exception of major new category products like the Apple Watch or those for which there are severe production constraints, Apple typically unveils a product and ships it within a short period of time if not on the same day. 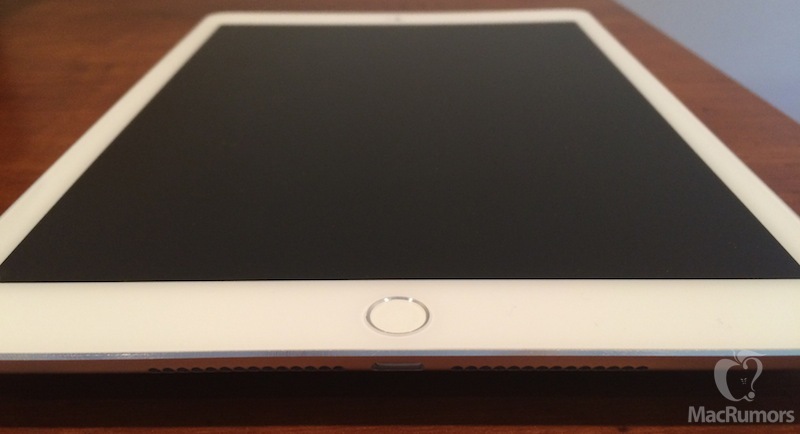 Last year, Apple announced the iPad Air and Retina iPad mini on October 22 and launched the iPad Air on November 1, with the Retina iPad mini landing a few weeks later due to short supplies. Based on these shipping estimates, Apple likely will announce its new iPad Air 2 and possibly an updated Retina iPad mini on Thursday with a target launch date of October 24. There is no word yet on the possibility of pre-orders, but if Apple does offer a pre-order period, it will likely start very soon after the event in order to allow shipments to be positioned for delivery on launch day. The iPad is kinda a bust. For me anyway. Especially now with bigger iPhones. They've looked basically the same all along, they basically offer the same function as my iPhone. I just don't see any reason to want/need one.. and I love looking for an excuse to buy Apple stuff. lol. iPad air at home. iPhone plus on the go. That's the scenario. Why would I want to couch surf and read on a 5.5 inch screen, when I can use the much much bigger iPad screen instead. And now with calling enabled on iPads (when on same wifi network as your iphone), I can make and receive calls on the couch if my iPhone is not near me. So yes, there is a case for both devices still. These new iPads are going to be incredible. I can't wait to get my hands on them. Incredible is a bit strong. "Mildly better than my current iPad air" is my current expectation. Hope it matches the iPhone 6 design nicely! What's the odds of a new Apple TV ? Hoping it comes soon. Really wanna get one but the current gen is way overdue. where are people getting this idea? a half-step towards an OSX tablet? i don't think that would fly with the professional market, which they've had their eye on since forever. i know it's popular to say that apple has 'forgotten' about the true power users/ content creators, but i think that's not seeing the forrest for the trees. if they go combo OS, it will fail in what it intended to be. i foresee easy switching between OSes. grandma doesn't want to get confused, and creators don't want to be limited - on a device that will probably cost as much as an MBP to start. they'll all go surface or cintiq. This. You get it. There won't be a convergence of OS X and iOS into one OS. They will continue to share features and have similar look and feel but will remain two independent systems designed for different types of computers (touch versus non touch). iCloud makes switching between these two systems seamless, it will continue to get better at this. Apple has pretty clearly stated they aren't interested in morphing their two operating systems into one. The steps taken in ios8/Yosemite make it pretty clear that their goal is to streamline the user experience by making their different systems work seamlessly together so the user gets the best possible experience on whatever device they are using. Microsoft learned the hard way people do not want the same OS on all devices.